Cutie Pies Keepsakes creates custom ceramic hand and foot prints of infants and children. These personalized keepsakes make great gifts for any occasion, and are a wonderful way to remember forever the hands and feet of your little one. 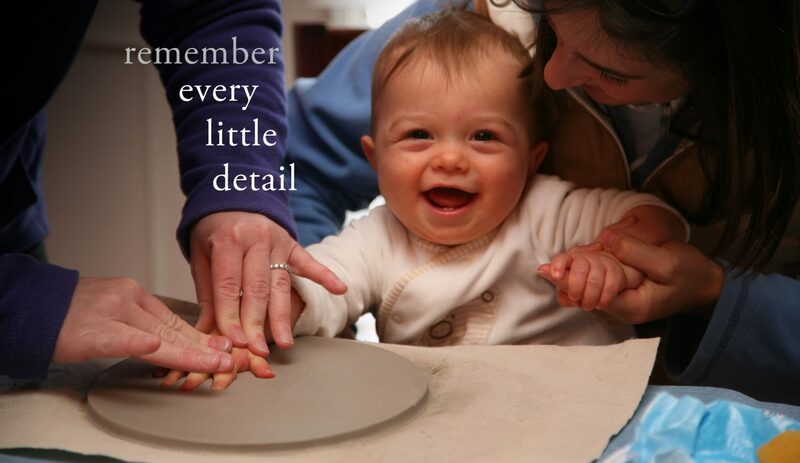 All the tiny details of your child’s hands and feet are preserved in studio-quality clay. These ceramic wall hangings are personalized with your choice of glaze colors and ribbon. Browse the website to see sample photos and pricing information, as well as details about Hostess Parties and Fundraisers and a schedule of impression appointments held each month at venues in Northern Virginia.